Despite heavy rain on the lead up to match day, which caused some postponements in the league, Radstock Town's pitch was in good shape. Buoyed up by the previous performance Warminster Town should have been ready to get three points on their away trip. The home side having only 10 points to their name at the start of the day and one place above bottom would seem to be ideal opponents to beat. Radstock had also parted company with their manager earlier in November. Warminster Town kicked off in their blue away strip, against the red and black kit of the home side. Little did anyone expect the reds to score in approximately 50 seconds! 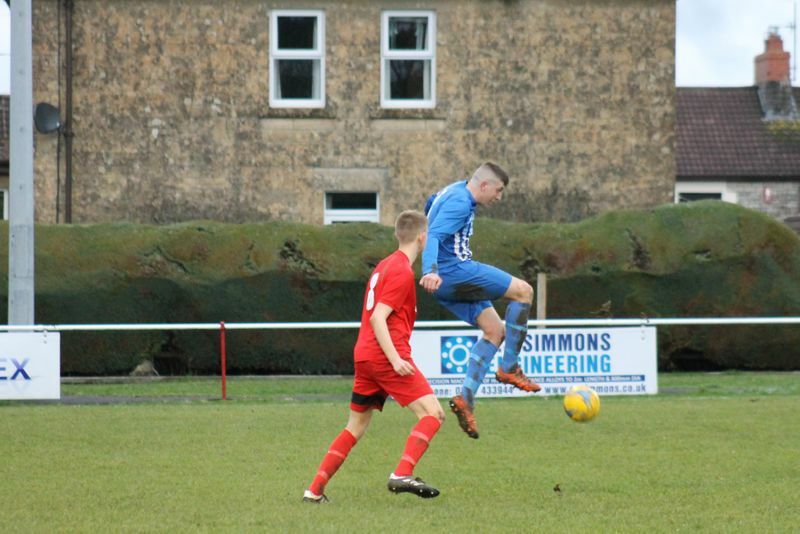 Radstock worked the ball down their right-hand side and crossed with the man in the box to fire home a left-footed shot into the left side of Nathan Ball's net. The home side continued to create chances and after so many in the first 20 minutes might have begun to think that they would run out of goal scoring opportunities. 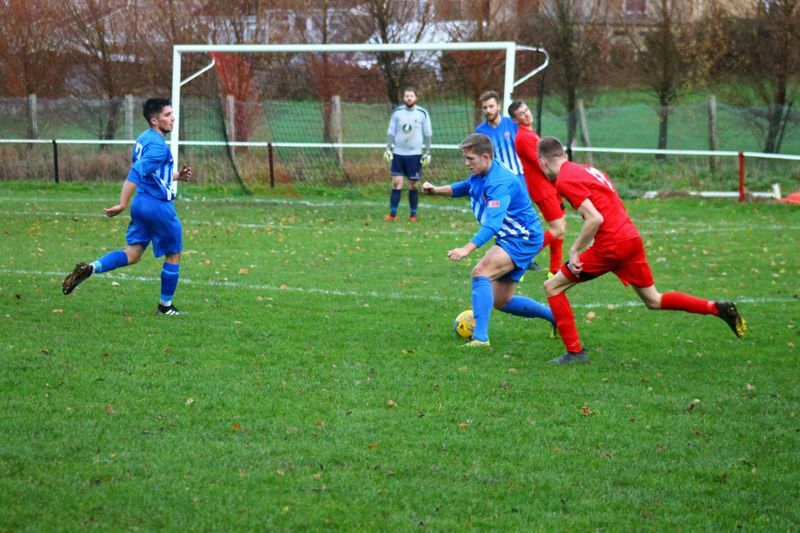 In the 26th minute, Warminster levelled the score when from the left-hand edge of the penalty area Charlie Walton crossed the ball to Jack Miluk running to the 6-yard line firing it low to the right of the keeper, Jack Scrivens. Both sides continued to create chances when from the left Warminster's number 11, Connor McKay ran into the box, beat the defender and shot low to the left side of the goal, the keeper might have got a touch but was unable to prevent it going into the goal. Now with 38 minutes gone Warminster had the lead but in reality, there was the danger that Radstock could still go on to level the score, which in the rest of the first half they failed to do. The home side got the second half underway and within 2 minutes called the visitor's keeper to dive at the feet of an onrushing player all pounced to score. The warning signs for Warminster were very much alive. Around 5 minutes in Radstock levelled the score when a ball crossed in from the right into the penalty area was played back then fired home and high into the left corner of the goal. 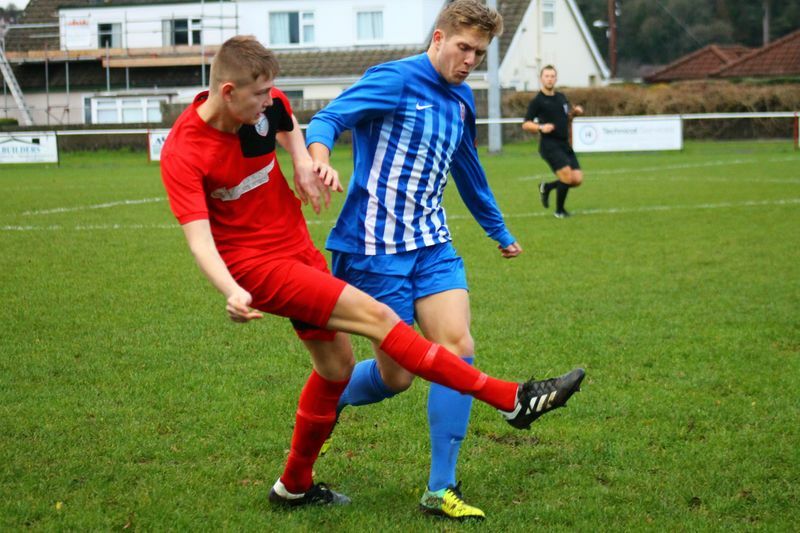 The next goal came for Radstock in the 56th minute when a looping pass into the box was flicked on and fell at the feet of a player entering the box to shoot past to the right of the sprawling figure of Nathan Ball. It's now 3 -2 to the home side. In the 83rd minute, Warminster had a throw-in close to their right-hand corner flag. The throw was aimed back towards Ball in goal but fell a little short and intercepted by Radstock at Nathan Ball's feet, turned around him and walked into the net for goal number 4. In the 89th minute, Warminster earned a corner which was cleared back to the corner taker and crossed back to find the head of Charlie Walton unmarked just in front of the right side of the goal. Now with a few minutes of added time remaining Warminster are one goal behind. Warminster did have one final opportunity but put the ball wide to the left of the goal. Final score Radstock Town 4 - Warminster Town 3. After the game manager Andrew Crabtree said, "Obviously disappointed with the result but more so with the manner in which we conceded the goals. As a manager, it’s very hard to accept that level of performance. I set standards and that was way below what I expect from our players. Some of them need to take a long hard look at themselves as they have a long way to go to get back in my good books. I’m not taking anything away from Radstock as they took full advantage of our failings. Maybe some of our players are too comfortable.. well the news is they may well be in for a shock. Watch this space." 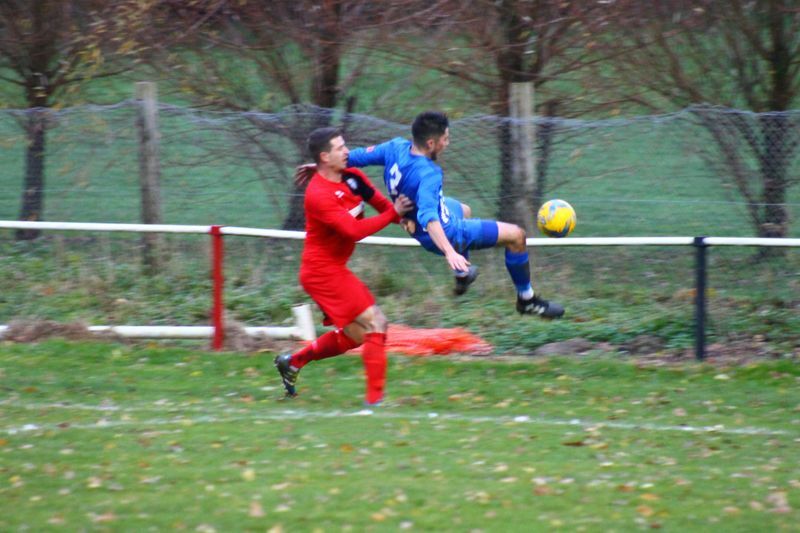 Warminster are at home on Saturday, December 8th and take on close table rivals Oldland Abbotonians. Do come along and support the Red & Blacks.